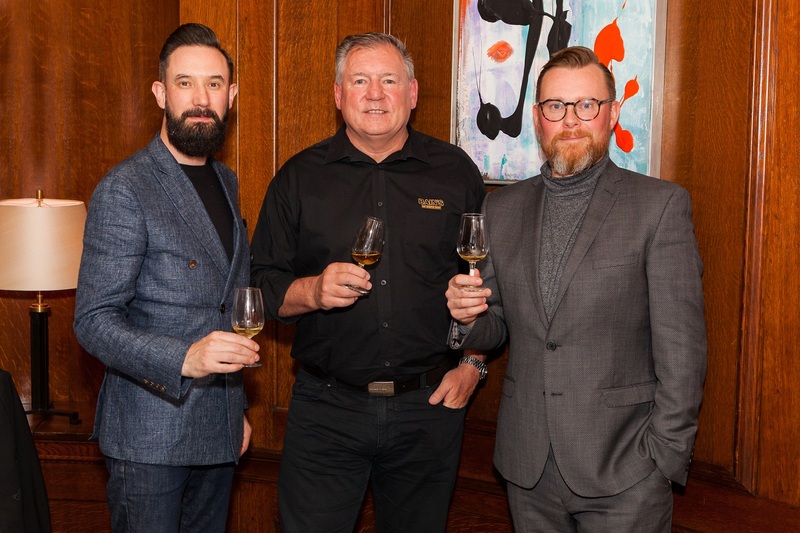 Earlier this month a small group of us gathered at Ten Trinity Square Private Club close to the Tower of London, to learn about the award-winning World’s Best Grain Whisky, Bain’s Cape Mountain, at an intimate tutored deconstructed tasting and Q&A session with Bain’s Master Distiller and Winner of the 2018 Global Icon of Whisky Master Blender Award, Andy Watts. Our hosts for the evening are TV presenters and writers Joel Harrison and Neil Ridley, who guide us through a selection of crafted Bain’s Cape cocktails we sample and speak with Andy Watts in some detail about how he got started in the industry and his remarkable achievements at Bain’s. A keen cricketer, Andy started his early career playing cricket for Derbyshire before his love of the game took him over to South Africa. It is here that he got involved in Stellenbosch Farmers’ Winery, a local liquor company. He was then asked to go to Scotland for Morrison Bowmore Distillers to learn how to make whisky and that was where Andy’s career in whisky really took off. 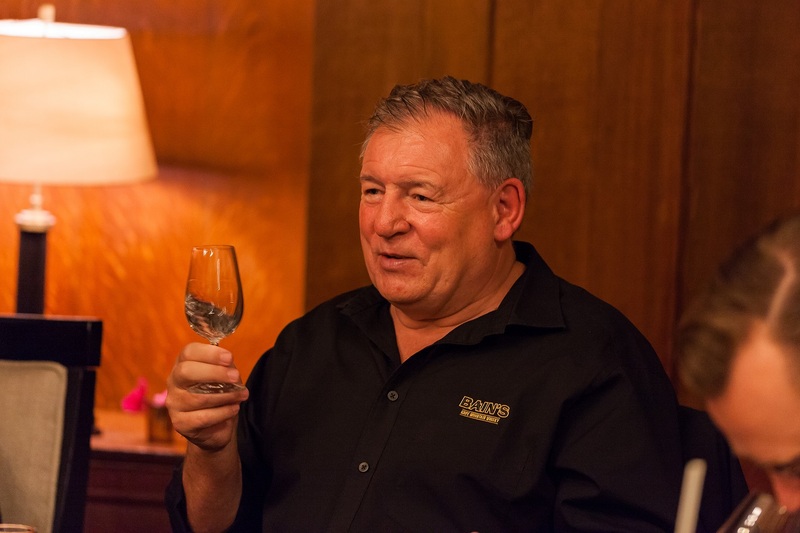 Andy spent 25 years as manager at James Sedgwick before moving to his current role at Distell, where he is in charge of what goes inside the bottles you see today. During the tasting, Andy gives us an insight into the journey of this exquisite whisky at the various stages in its lifecycle, from when it has been drawn directly off the still as well as from the barrels, along with some history on the origin of barrels themselves. Andy managed to track down some first-fill ex-bourbon casks from the United States and started experimenting with them. Having left the spirit in them for three years, Andy was not entirely happy with what came out and so he bought a second set of casks and left the contents in for a further two years, at the end of which Andy was finally happy and launched the product in 2009, a ten-year journey from concept to the eventual birth of the whisky. The reason Andy uses a grain spirit, he explains, is for the simple reason that it gives the whisky a much lighter flavour. Malt is by far the most popular whisky, so it took some convincing to use grain, but everyone at the distillery has been delighted with the end result. The combination of South African Maze, grain and wheat has created a unique soft and smooth blended whisky with soft notes to it. It was time to sample the various glasses laid out in front of us. The first glass is just the raw spirit at 94.3% ABV and has tropical fruit notes of banana and pineapple. The second is at 40% ABV and far smoother with a little bit of oak coming through. We straightaway notice the considerably darker colour to the third glass, which is sourced from the first-filled bourbon casks from the United States and is three years old. You can initially taste the vanilla, fruits and coconut notes. There is a distinct sweetness and spiciness left in the wood, then giving off smooth, creamy and caramelised notes. The fourth and final glass comes from whisky that has been put into the casks for a second time for a further two years and is the product that landed Bain’s in 2009 and worthy of being a grain whisky in its own right. 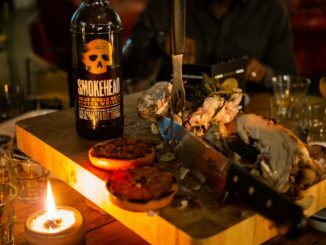 Although it’s a very young whisky, the warmer climate means that South African whiskies tend to age far quicker than Scottish whiskies – a bit like a time machine if you like – maturing the whisky at a younger age, due to the faster interaction between the spirit, wood and air. The resulting whisky is therefore so much smoother and rounded than you would expect of a whisky of this age and has some delightful butterscotch notes and a spiciness to it. As part of our evening’s educational process, we are treated to five Bain’s Cape Cocktails. 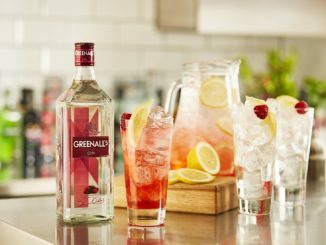 The first is ‘The Cape Cooler’, built over a crushed ice in a large wine glass and made with 60ml of Bain’s Cape, 3 dashes Fee Brothers black walnut bitters and topped with dry ginger ale and garnished with a lemon zest and star anise. It is a well-rounded cocktail with chocolate notes and a touch of spice from the ginger ale. 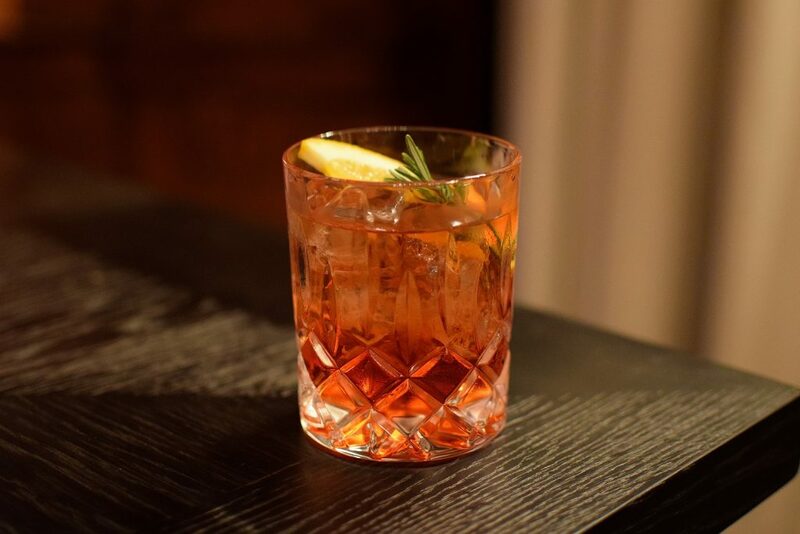 The ‘Bain’s Boulevardier’ is built over a single large ice cube in a tumbler and made with 30ml of Bain’s Cape, 25ml Punt e Mes Vermouth and 25ml Campari, garnished with a charred blood orange segment and sprig of rosemary. 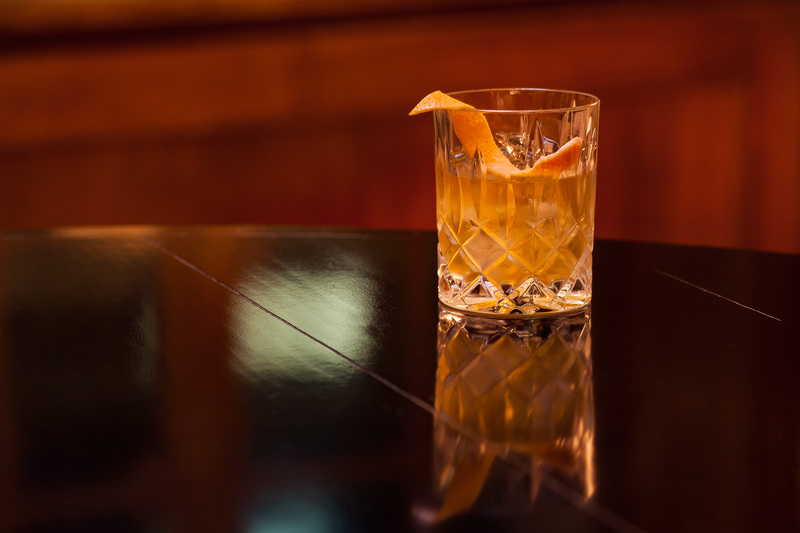 This is essentially, the whisky version of the Negroni and perfectly refreshing. The third cocktail, named ‘The Kloof’ is a mix of 50ml Bain’s Cape, 30ml strong roasted espresso coffee, 10ml Muscovado sugar syrup and 15ml Amarula cream, served in a chilled coupe. ‘The Undine’ is inspired by the ocean-going trading clipper James Sedgwick captained and is made with 50ml Bain’s Cape, 10ml Acacia honey syrup, 2 dashes of orange bitters and 1 dash chocolate bitters, garnished with a piece of grapefruit peel an served in a rocks glass over an ice cube. Well and truly happy by now and managing to stand up, we are served the fifth and final cocktail of the evening along with some canapés to help soak up some of the alcohol. ‘The Mountain Fizz’ is served in a champagne flute and is a mix of 25ml Bain’s Cape, 2 dashes of Fee Brothers rhubarb bitters, 5ml simple syrup and topped with sparkling wine and garnished with a cherry and thin spiral of orange peel. 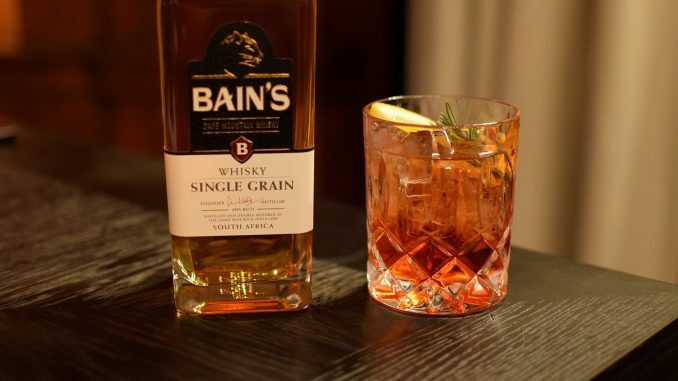 Bain’s Cape Mountain Whisky works so well in cocktails, being such a well-rounded whisky. It has been entered into all the major whisky competitions around the world since 2009 and is today an award-winning South African Single Grain whisky that has helped turn Distell into one of the leading Scotch Whisky producers in the world, employing some 5,000 people worldwide and has an annual turnover of £1 billion. Quite an achievement! 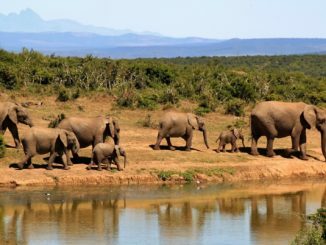 Simon Burrell is Editor-in-Chief of Our Man On The Ground Travel & Lifestyle, a member of The British Guild of Travel Writers and professional photographer. Why Are Our Cars Getting Bigger?